How do you like spending your long weekends? You know, those time where the stars aligned and gave you a holiday on a Monday or Friday to make your weekend just a little bit longer. Personally, even as a kid, I liked to spend my time reading. There was nothing better than spending a cold winter day under the covers with a nice book. Back then, I was devouring everything Verne had written: Journey to the Center of the Earth, Around the World in Eighty Days, From the Earth to the Moon, and so on. Anyway, how would you like to spend your weekend with a couple of nice new books to keep you company? Because you definitely can.For free even! See, I have teamed up with other indie authors to bring you four days of free and bargain books! That’s right. Four Days! From July 1st to July 4th, we’ll be putting up some of our books at free and/or bargain prices. That half a year has gone by. I had plans at the beginning of the year. The sequel to The Sleeping Town was all planned out and I was going to have the first draft done by the end of February. That didn’t quite work out. It has been a busy year with plenty of family emergencies. Plenty of things took priority over my writing. However, I am back! New and improved! I am getting back into the rhythm of things and hope to finish the first draft of my next book before the end of June and have it published by September. Wait for it, because Michael Walker’s return in Full Moon Hunt is going to be good. Do you want to get Devils of Black and Gold completely free? Of course you do, it is only the greatest book ever. Except for the Importance of Being Earnest. I love it. It never stops being hilarious. Anyway, starting right now, from December 31st to January 1st, Devil of Black and Gold will be free on Amazon. Start your new year with a great book! Hello everyone, I hope you had a great Christmas! Mine was fantastic. I got to meet the family again and play with my baby nephew. That was great. As you may have noticed the layout of the website has changed. The last one looked good, but was a bit too limiting for some of the things I have planned. I hope you learn to like the new one. In other news, I am pleased to inform you my newest book, Devils of Black and Gold, is now available in Amazon and is free for people with Kindle Unlimited. It is only $2.99 if you don’t have it, however I plan to make it free during the days of December 31 and January 1. That’s right people, you want to obtain my latest book for free? Then stay tuned for more info. 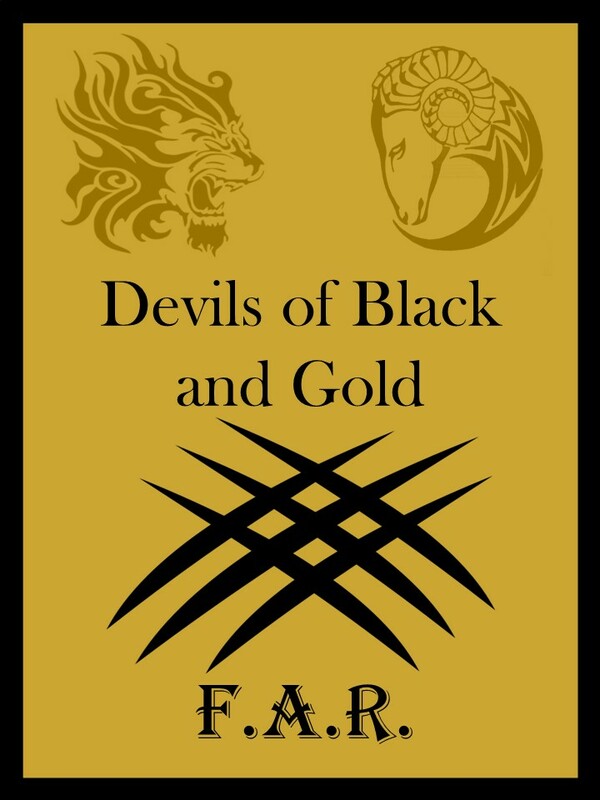 Devils of Black and Gold – It’s Here! It has t aken some time. More than I expected to be honest, but that doesn’t matter anymore. Devils of Black and Gold is now available for Pre-Order through Amazon! In related news, you can check out a short sample of the book on my website. Just follow the Menu above or click on this link. Devils of Black and Gold – First Draft Status: Completed! Welcome all! I have big news for you. As I type this post the first draft for my next book is done. In record time too! Actually, I finished the whole thing about a week ago. I just hadn’t found the time to let you guys know because… stuff happened. It has been a heavy week… but enough of that! I expect to have my next book, Devils of Black and Gold, ready for publishing on December at latest. In the meantime, I have already began outlining the sequel to The Sleeping Town and I plan on making good use of NaNoWriMo. Look forward to that. The Sleeping Town is Out! Today is the day. The book is out. Best of all, the pre-sales guarantee I’m getting at least pennies out of this whole thing, so all my expectations have been satisfied. To those who bought the book, please consider leaving a review (whether on Amazon, Smashwords, or other) when you have finished reading. As an independent writer, I live and die by word of mouth. Summary: After waking up, Michael Walker finds his town a changed place. As the uncanny becomes commonplace and truth remains elusive, Michael struggles to discern between friend and foe. Powerful forces are at work, and Michael might just not piece the puzzle together in time. Should he fail, not only will his head become a stranger to his neck, but the rest of the town will soon follow his fate. Have a great day. I know I am! Full Moon Hunt Is Here! Get The Sleeping Town for Free! Read the Prologue of Full Moon Hunt Now!